"Need to block a Yahoo Messenger contact from sending IMs? The Yahoo block feature allows users to prevent receiving IMs from unwanted contacts. You can even block Yahoo PC-to-PC calls. 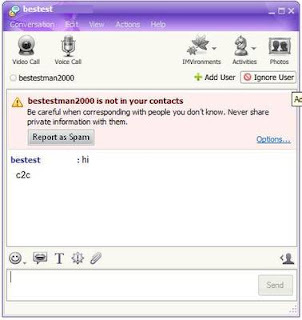 Upon receiving an IM, Yahoo Messenger users have the ability to block users with the click of a button. From the IM window, click the "Ignore User" in the upper, right-hand side to block the Yahoo contact..."